Roxane is an armchair with a very special design, where you will enjoy unforgettable moments. Its curved back creates a peaceful and quiet atmosphere that allows you to enjoy your leisure moments and forget about everything else. The swivel base and the footstool provide a great comfort. The shaped footstool can be adapted to the chair frontally or in angle, providing an amazing comfort in all positions. 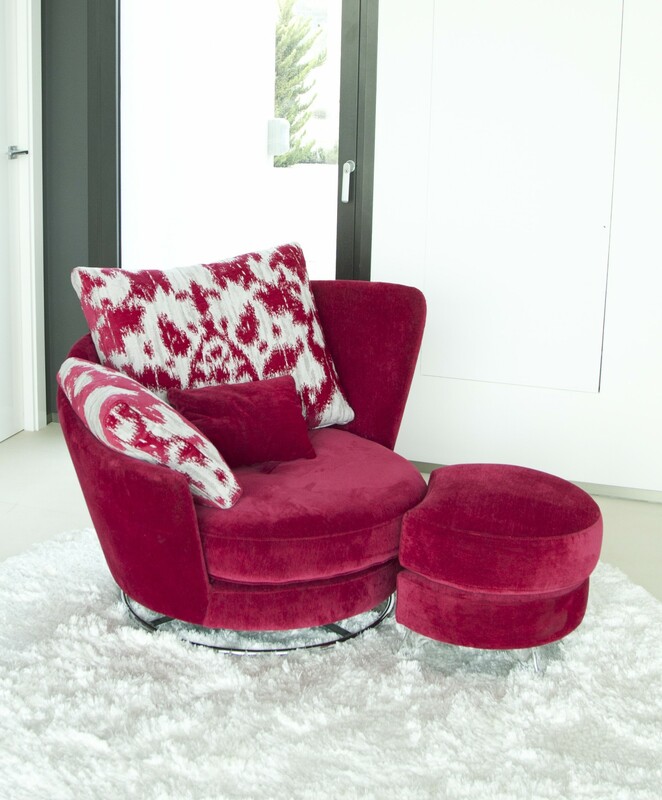 The armchair is available with swivel base or with metal or wooden legs.